Cast : Shah Rukh Khan (two of them) , the heroine is gone with the wind and so are the songs. The reasons to be a cross-eyed Fan of Shah Rukh Khan still remain more compelling than the need to lament the pusillanimity in his recent movie choices. In Mumbai's film industry which is rife with nepotism , he baptized himself without a godfather, fought up the ranks with the dynamic charisma of his acting and then hit the heights of dizzying fame-'n'-prosperity that his mother and father could not alas live to see, the hoopla quotient for him spilled over to admiring audiences from Malaysia to U.S.A ; he amassed such enormous riches that he overtook Hollywood hotshots like Tom Cruise in wealth, and even as a well-established darling of the nation, he retained the artistic sense to be the star of landmark films like 'Dil Se' and 'Swades'. 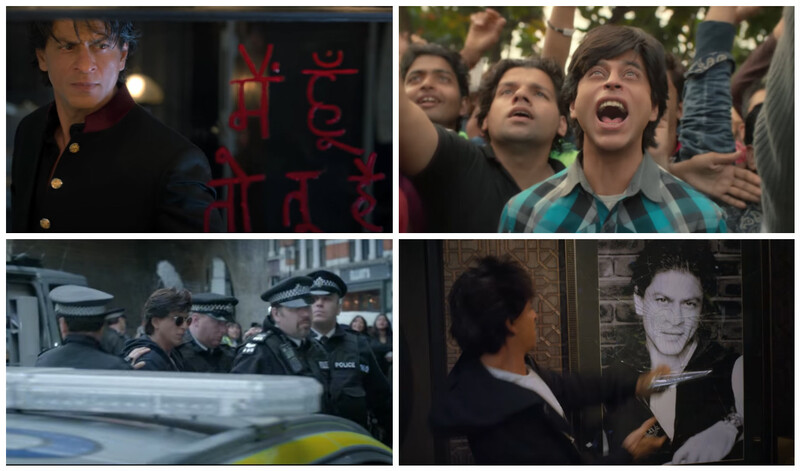 Post-2007 is another story.... And then we come to "Fan" , the fanfare-festooned entry vehicle of SRK in 2016 , helmed by Maneesh Sharma and unspooling as a progressively darkening thriller about a young man whose obsession for his movie idol spirals violently out of control. Films where a celeb is hounded by a crazed fan are not a new concept, so what new spin does 'Fan''s script bring to the narrative table? 3D scanning , no less, with seamless special effects to create a "mini-me" version of Shah Rukh Khan as his obsessed admirer (Khan plays both the superstar and the fan). This lad Gaurav Chandna is a younger, shorter, slightly anorexic version of the real McKhanna and from childhood he worships his idol Aryan Khanna - the superstar Shah Rukh portrays in the film, and the same man who is collage-papered in a thousand avatars over every inch of the walls of Gaurav's room. A multiple champion of local contests in which competitors simulate their celebrity idols, Gaurav's resemblance to Aryan adds to his hero-sanctifying mania. After a handy monetary prize, he decides to embark on the trip of his lifetime thus far. His parents relent to the idea of their son finally journeying from Dilli's middle-class mohallas to meet Aryan Khanna in his Mumbai citadel. But the realities of a cold hard world come crushing down on Gaurav's roseate dreams , and soon he swears relentless revenge on the icon who seems to have coolly betrayed his most loyal fan. The film's best moments arrive early. We amusedly witness Gaurav's goofy palpitating schoolgirl thrill as he gets his own moment in the spotlight, after winning the local celeb-imitation contest. The journey to the massive playing fields of the big town then almost drowns him in a jammed sea of hysterical people as his waving hero looms far away - many of us would have experienced a similar moment where the scale of hoopla for some darling of the world, so near and yet so far away, seems to dwarf our personal self - and then suddenly Gaurav's gaze settles on Aryan and he lets out a momentous scream as his mouth and eyes bulge ecstatically - it is an epic moment where the fan's hysteria equals the star's aura. 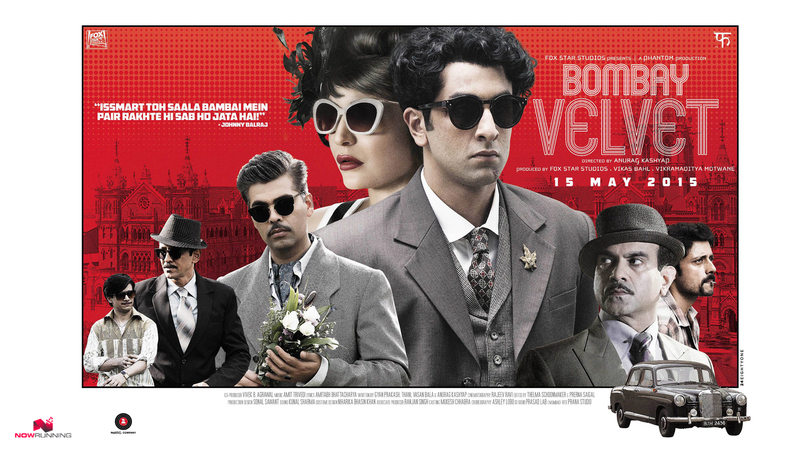 Where the film fails, is in electing to power the story as an action-peppered thriller. Snazzy action sequences and suspense can pep up a story no doubt, but often, aside from all the chases, crashes-'n'-collapses, the human element and dramatic wallop are just not in full-throttle supply. In postcard-pretty Dubrovnik, the action reaches its peak with an imaginative rooftop chase and flying tackles at dangerous heights, but another action sequence set over the crumbling but formidable ruins of 'Hotel Delite' is neither choreographed nor captured with the vertiginous thrill it deserved to sport. Moreover, in its tunnel-visioned 'thriller' focus, wit is conspicuous by its absence. Correctly, and to the film-makers' credit, there are no songs but this doesn't make the picture stronger. At one point , we are shown that Gaurav so nefariously impersonates Aryan in certain wrong-doings that the latter is disgraced internationally. Apparently the fall-out is so bad that Aryan's shows are deserted by fans. What a joke! Indian fans are extraordinarily forgiving , exemplified by the real-life fact that a superstar involved in a prolonged and damaging court case of alleged manslaughter , still goes on to have millions of his fans thronging his film releases. Also, such a narrative conceit required the resemblance between star and fan to be much closer in the movie's early stages - but shifting gear, after a gap of just one year, from partial resemblance to near identical resemblance, taxes credulity too much. Both Gaurav and Aryan remain two-dimensional personas , and we do not care as much for them as we should. When Shah Rukh portrays superstar Aryan , there is barely any halo of personality that comes through. But in his form-shifting turn as Guarav, we witness more depth - as fanboy madness bleeds into crushing disillusionment and the sparkle in his eyes darkens into a glazed glint. In fact Gaurav's SRK could have gone on to shine brighter in more thespian moments which are just not there in the script. And that outpouring of regret in Aryan's trophy room could have been the wrenching stuff of awards, but what we see is more Filmfare than National Award. Director Maneesh Sharma , whose debut 'Band Bajaa Baarat' did not generate its full quota of 'dhamaal', again falls short of igniting the script's complete potential. In the nuances of screenplay, he is not given much help by the otherwise dependable Habib Faisal. Cinematographer Manu Anand value-enhances the film with pleasing visual frames and some sweepingly dynamic captures, while Andrea Guerra's background score does well in complimenting drama, but goes blaringly gung-ho in action scenes. being only a very energetic contender.